Having a drink at the end of a long week is very common, but what happens if it becomes more often? 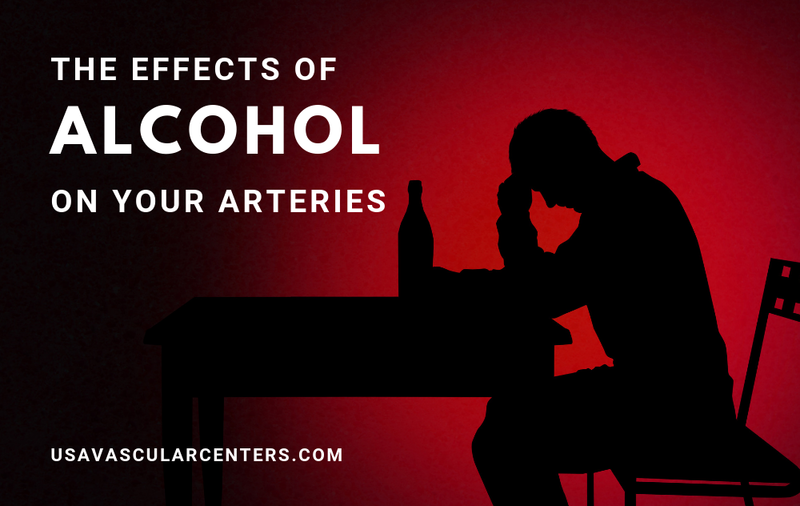 Excessive drinking can negatively impact your health leading to problems with your liver, stomach, brain, heart, and cardiovascular system.Your heart and brain are particularly vulnerable to the damaging effects of vascular disease caused by excessive alcohol consumption. The risks of heart attack and stroke increase with people who drink more than people who consume alcohol in moderation or not at all. What is Considered Heavy Drinking? Excessive drinking is usually classified as 3 or more drinks a day for women, or 4 or more drinks a day for men. These figures are commonly used to describe drinking habits, but it is always important to speak with your doctor for more information. Many people drink alcohol to relax and let loose, but it has the opposite effect on your body. Your cardiovascular system delivers nutrient rich blood from your heart to the rest of your body before returning the blood back to your heart. When you drink, alcohol is absorbed into your bloodstream and circulated throughout your body. This causes your blood pressure and heart rate to increase. Overtime these symptoms can lead to irregular heartbeats, weakened heart muscles, heart attack, or stroke. People who regularly drink heavily are more at-risk for experiencing a heart attack or stroke. Drinking alcohol is linked with increasing the levels of fat in your blood, and when combined with a faster heartbeat leads to arteries clogged with plaque. A heart attack is caused when a piece of plaque breaks off and blocks an artery from the heart. A stroke is caused when a clot, formed from excess fat in the bloodstream, breaks off and blocks the artery supplying blood to your brain. Alcohol can increase the risk of a stroke because, as mentioned above, it weakens your heart muscles allowing a clot to become a blockage and it increases the fat levels in your bloodstream. Both of these conditions can be fatal, so it is important to know the risks and decrease behaviors that put you more at risk. To reduce your risk of developing PAD, it is important to monitor your alcohol consumption and maintain a healthy lifestyle. At the USA Vascular Centers, our goal is make sure you have a healthy vascular system.Our PAD vascular specialists can help diagnose your PAD symptoms, and recommend a treatment plan that will work best for you.We offer a minimally invasive treatment approach that is performed in our outpatient clinics, so you can avoid a hospital stay and get back to enjoying your life. Our procedure is FDA-approved and will lower your risks for experiencing a heart attack, stroke, or leg amputation. If you are ready to find relief from your PAD symptoms, contact us at USA Vascular Centers so our team can get you on the road to recovery.